Ten years ago, Mike Davis began to pioneer the emergence of chef-driven restaurants in Columbia, SC. The concept of his restaurant Terra is a familiar one. Davis sources local food, seasonally. He cooks contemporary American dishes with Southern, classic French, and Italian influences. However in Columbia, SC, this was once considered cutting-edge. Now the success of Terra has inspired other chefs to open concept-driven restaurants that deviate from the typical corporate chains and meat and three sides cafés that once monopolized the city’s culinary landscape. 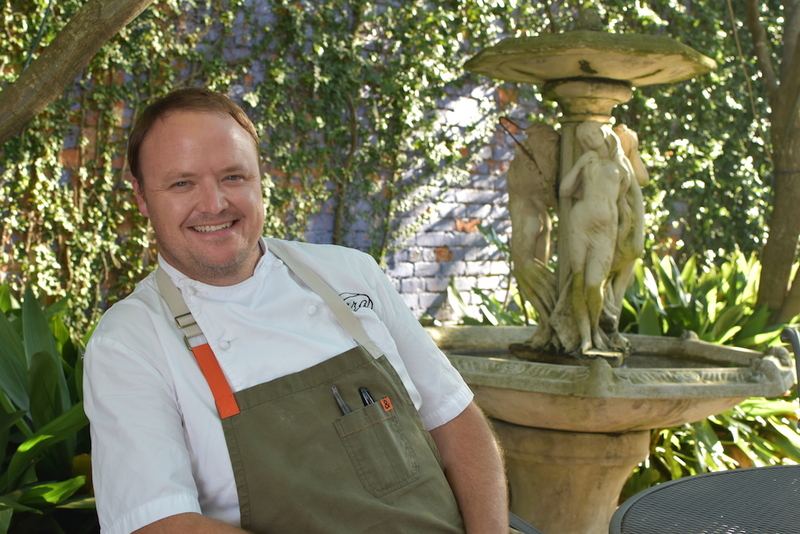 Best Chef Mike Davis sits in Terra's courtyard. “It’s about trust,” Davis says. Trusting himself, his tastes, and his vision has greatly contributed to Terra’s staying power. When his restaurant first opened, people used to be skeptical of menu items like steak frites. Davis says it’s the job of the waitstaff to explain to customers what they’re ordering and encourage people to ask questions. Eventually, customers became more comfortable with his offerings. They began to recognize that Davis is cooking with ingredients grown just a few miles away that the people of South Carolina have eaten for generations. The only difference is that he’s preparing them in a more creative and sophisticated manner. Even when peers and patrons were skeptical of his concept and that Terra is only open 5 nights a week for dinner, Davis persisted. He continued to cook what he wanted to cook and took time off when he wanted to spend time with his family. Now, the Columbia dining scene is home to other original concepts like the Thai bistro, Baan Sawan, Spotted Salamander Café, and the farm-to-table restaurant, Motor Supply Co.
Davis applauds this. In fact, he says he’s fighting for it, because the more that people in his city get excited about food, the better it is for his business. 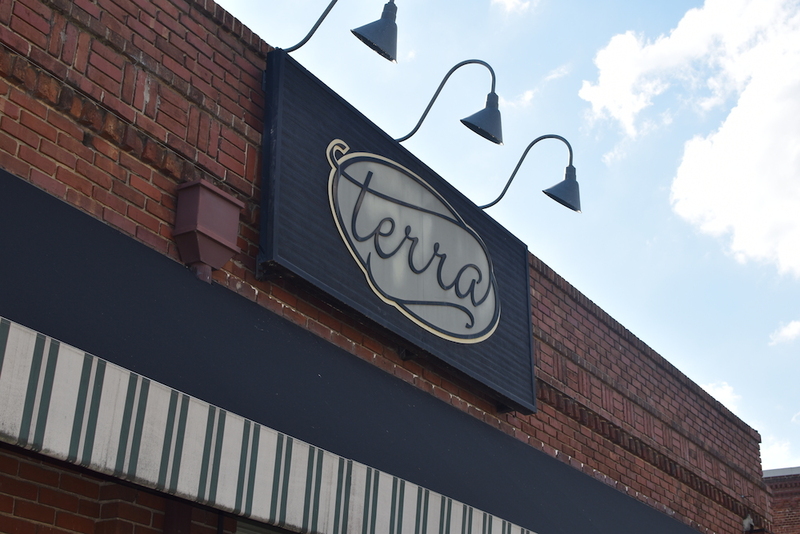 Terra has earned its place as a fixture in the Columbia dining community. Davis has seen recessions and economic booms, and says he’s been able to experiment more and more with his menu with each year. He’s not impervious to self-doubt. From time-to-time he questions if his more inventive dishes, made with speciality items like organ meat, will be well-received. 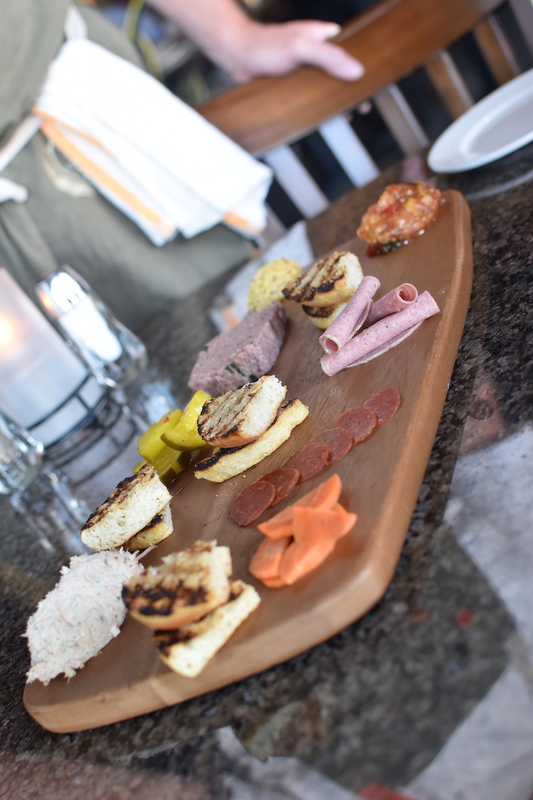 The daily charcuterie board at Terra comes with freshly baked English muffins, homemade pickled vegetables, and house-cured meats. To keep his doors open, Davis has to win the affection of locals. Locals, not tourists, have to keep coming back regularly if he wants fill his dining hall and lush courtyard each night. They do. They come back for the dishes that have been on Terra’s menu since day one, staples like the smoked lamb mac and cheese (made with a shallot cream infused with fontina, goat cheese, and poblano peppers). The shrimp remoulade has also been on the menu since Terra’s opening, and Davis says it’s never leaving. Made with fried green tomatoes and Benton’s bacon, the shrimp remoulade is Davis’s homage to his former home of New Orleans, where he worked at Bayona with fellow Best Chef Susan Spicer. 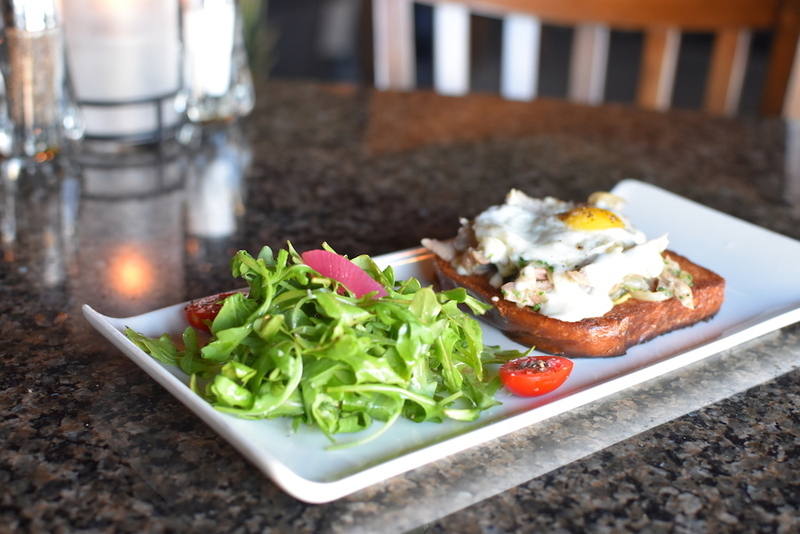 The quack madame (a play on the croque madame) is another top-selling regular menu item, made with a slice of fresh-baked brioche, duck confit, and a quail egg from the nearby Manchester Farms. 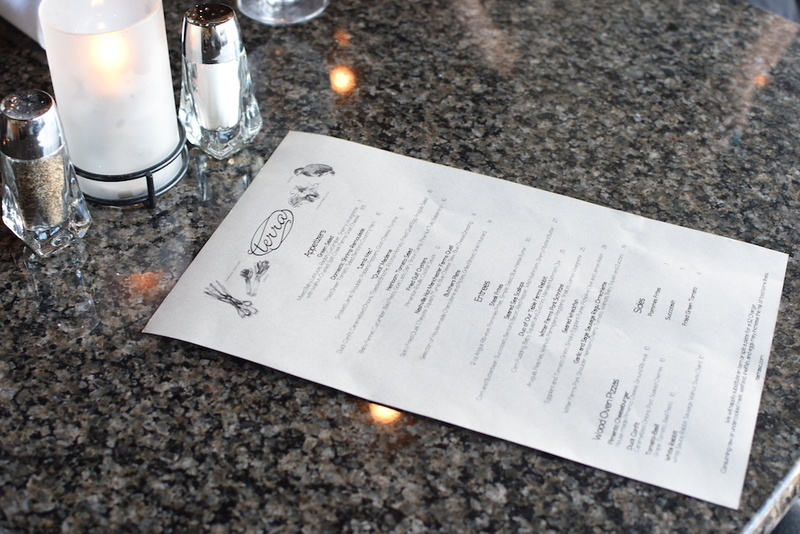 Davis says he changes about three dishes on the menu each week to serve as specials. 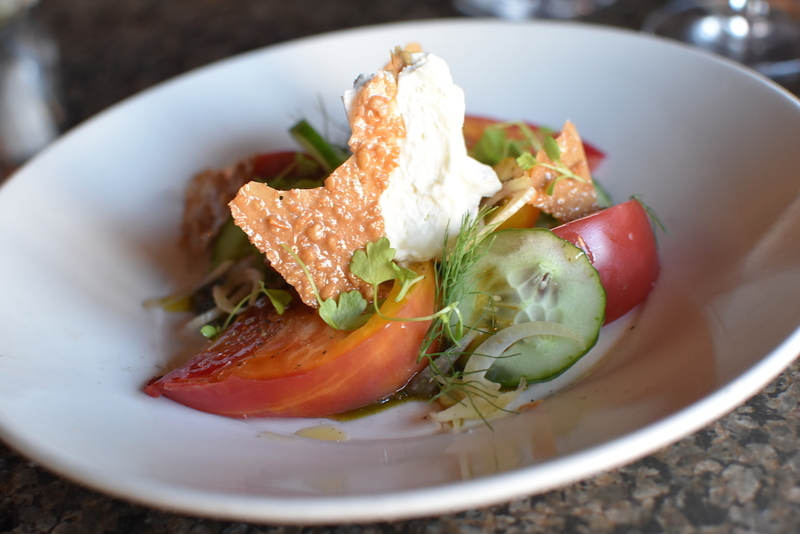 On this humid summer night, one of those items is the heirloom tomato salad — made with pesto, shaved fennel, a pine nut tuille and a very creamy, thickly-sliced wedge of Sandy Creek cheese made by Goat Lady Dairy. All the charcuterie at Terra is made in-house. Tonight’s board is covered with ginger scallion paté, pork shoulder and liver “beerwurst,” spanish chorizo, pork rillette, homemade mustard, a Mediterranean chutney, and freshly baked english muffins. Dessert is just as homespun as Terra’s savory items. The ice creams are all made in-house with greek yogurt, and there a number of options. The Maker’s Mark ice cream has been on the menu since 2008 and is the only flavor offered year-round. 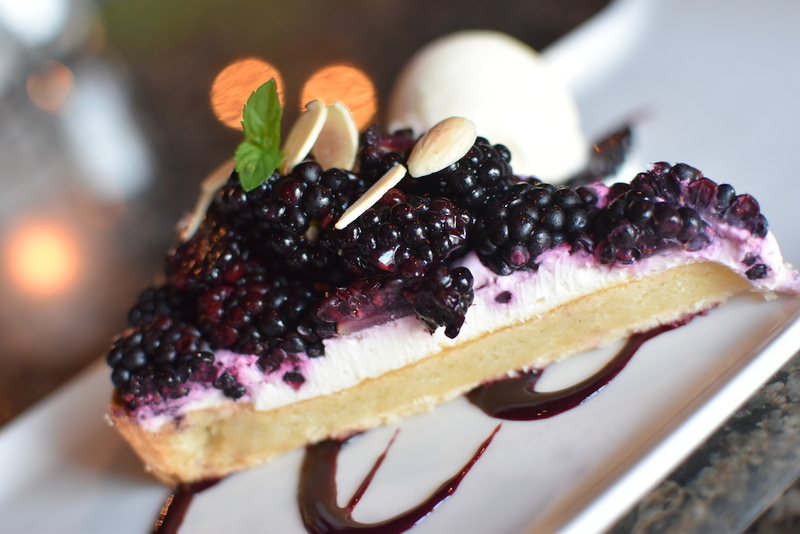 The dessert special of the night is a goat cheese tarte topped with local blackberries. 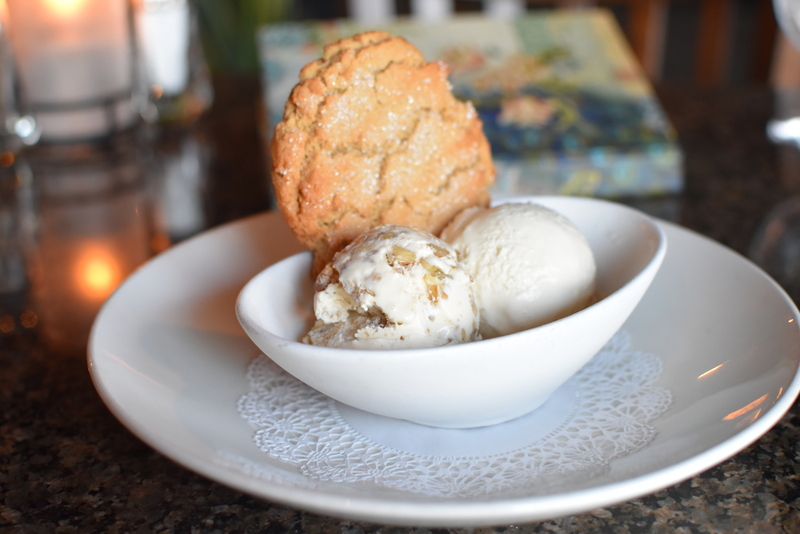 Terra's signature Maker's Mark bourbon ice cream comes with a warm and chewy cookie. Davis makes his rounds across the dining room during dinner service, greeting regulars like they’re old friends, as Terra’s wood-fire oven blazes and fresh pizzas with gourmet toppings like ground rib-eye and pimento cheese are served. It’s Pizza + Pino Night at Terra, a weekly event where customers can get a whole pizza and a glass of wine for 12 dollars. He knows that his job revolves around hospitality, and operates with a bit of humility about who he is and what he does. Davis acknowledges that when it comes to the culinary arts, it’s nearly impossible to reinvent the wheel. In truth, to have a thriving establishment, there’s no need to. And depending on your location, putting your spin on classic dishes can be trailblazing.